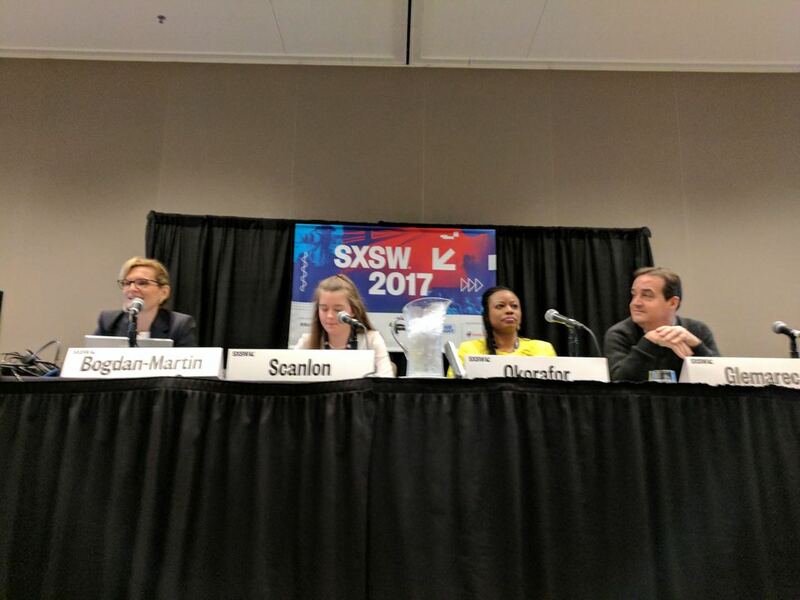 Home / Blog / The Outcome Of The ITU, UN Women And SXSW Panel: Do Women In Tech Really Matter? 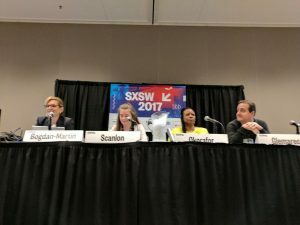 The Outcome Of The ITU, UN Women And SXSW Panel: Do Women In Tech Really Matter? Year after year, the South by Southwest (SXSW) conference and festival is a sell-out success story. This year, the United Nations specialized agency for information and communication technologies (ITU) and UN Women jointly organized a panel discussion on “why women in tech matters?” in the context of the conference that is popularly known for its impact on tech, particularly its popularity for lunching and promoting the Twitter company, Foursquare, Phone booth Free and the Gamesalad tech companies. The panel was moderated by Doreen Bogdan-Martin, Chief of ITU’s Strategic Planning and Membership Department, and featured Dr. Unoma Okorafor, founder and CEO of Working to Advance STEM Education for African Women (WAAW) Foundation, the Winner of the 2016 ITU & UN Women GEM Tech Awards for Applying Technology for Female Empowerment, alongside Yannick Glemarec, UN Women Deputy Executive Director; William Hurley, a prime mover of the EQUALS initiative for gender equality and Niamh Scanlon, who was named the European Digital Girl of the Year in 2015. The panel looked at how the essence of technology can be described in a way that expressly shows the prominence of women in the techniques, skills, methods and processes of modern technology. They deliberated on a wide array of topics but the fundamental focus was on issues such as the barriers facing women in technology industry, the initiative being led by companies and international can i buy modafinil over the counter uk organizations to address gender balance in ICT industry, strategies to get more women involved in tech and the importance of role models to drive these strategies. Along with these, several reactionary remarks to criticize women inclusion in tech in the modern world were also reconnoitred. Women employment problem in tech companies has real-world implications. And in expressing this, Dr Unoma Okorafor indicated that “It’s not just about women empowerment, it’s about empowering the next generation of humanity to solve the issues that face us”. If only half the demographic is in charge of the modern world of information and communication, the worldviews will be limited to a myopic viewpoint; the tech companies would not be fully informed about the world’s diversity and there would be gender bias. Sheryl Sandberg, chief operating officer of Facebook; Marissa Mayer, chief executive officer of Yahoo and Virginia Rometty, the president and chief executive of IBM are three of the inspiring female role models revolutionizing powerful tech companies in the world. Advancing positive change for women in tech, empowering them to become impactful leaders, change agents and technology innovators are the main aims of WAAW Foundation and the center of discussion at the panel. Women need to be adequately equipped with Science, Technology, Engineering and Mathematics (STEM) Education; training and entrepreneurial skills to enable them reach unprecedented height in the technology industry.